The point of the courses I teach is to provide students with the analytical tools they need in order to understand, explain and critically evaluate the world in which they live. The point is to teach them how to think, how to analyze, rather than simply to teach them facts and provide information. The best way to achieve these aims is to confront the students with important texts that challenge their convictions and open their minds to new ways of thinking. Students too should be part of the intellectual conversation of our societies. Intellectually equipped in this fashion, they are able to go into any field of activity — government service, NGOs, private business, academia. These aims are particularly important today when young people increasingly are living in the echo-chambers created by the Internet. Universities are not echo-chambers but instead one of the last bastions of the old-style public sphere — where different people, with different views, come together to discuss common concerns. At the university, students are forced to engage with people with whom they disagree; they are forced to give rational reasons for their positions, and there can be no “alternative facts.” I want my courses to make such conversations possible. At SJTU i Shanghai where I was professor in international relations, I gave courses on “Introduction to International Politics,” “Theories of International Politics,” “China’s Role in World Politics,” and a course on international political economy. At Lund University, where I currently work, I’ve focused on courses in international politics and the history of political ideas. I give one course, “Comparative International Systems” which provides a historical introduction to international politics understood from a non-European point of view. This course follows closely a textbook on non-European IR that I am working on. The online reading list is here; the textbook itself is here. I have taught classes in all sorts of formats over the years — from small seminar groups of about 10 students to large lecture courses with 200 plus students. I am equally comfortable in all settings. I am, moreover, very used to teaching a diverse student body which includes people from a variety of ethnic, cultural and religious backgrounds. At the LSE in particular it was common to have representatives of 10 different countries in a class of 30 students. I am also very used to teaching students whose first language is not English. I know how to explain myself simply and effectively. For the past 15 years I have made extensive use of the Internet in my courses, often relying on the Moodle course platform. Depending on the material to be covered, I like to combine traditional readings with podcasts and video clips. Learning can happen in many different ways after all. I have also experimented extensively with alternative forms of examinations, such as oral exams held on-line. In supervising student essays, I emphasize the importance of good research questions. Unless there is something you actually want to know, it is very difficult to do good research. Other issues concerning academic writing, such as the use of theory and methodological problems, are of secondary importance and follow from the choice of research question. I have a short essay, “How to Write an Academic Paper,” which explains my views on these topics. Academic articles and books I’ve written have been extensively used on reading lists around the world. Well known international relations scholars such as Joseph Nye, Robert Jervis and Emanuel Adler have put my texts on their reading lists and they have been used at all Ivy League Schools in the United States and widely across Europe. For a while two separate courses at the Kennedy School of Government at Harvard used texts I have written. My work has also been used at History, Sociology and Economic History departments. A partial list of universities that use my work is here. Students have always evaluated my courses in very positive terms. In fact, my courses have regularly been among the most popular in the departments where I have worked. This was the case at the LSE in London, but also in China and now in Sweden. I often hear that one or another of my courses was “the best course I took at the university.” Students appreciate my informal style, my enthusiasm for the material, and my emphasis on ideas and analysis. My research agenda is quite eclectic and combines international politics, history and social theory. My approach, broadly put, is to use historical examples in order to philosophize regarding international events. Although they deal with quite different empirical material, my research projects have all in one way or another been examples of this method. In terms of theory, I have a particular interest in international politics understood as performance, focusing on issues of identity, self-presentation and recognition. My empirical focus has often been on wars — the Thirty Years War, colonial wars, the First World War, the Iraq War. I have written four academic books and some 50 academic articles, published with the most prestigious publishers and journals in the field, including Cambridge University Press, Routledge, International Organization, European Journal of International Relations and International Theory. My work has been translated into German, Chinese and Korean. I currently have 1,650 citations on Google Scholar. The number of citations has increased steadily over the years, and 2017 was the best year ever with 200 plus citations. I expect this trend to continue. I have published a lot in the past year, and several articles are scheduled for the coming year. At the moment I am finishing work on three books under contract with publishers. I am a strong advocate of open source publishing. My PhD dealt with the connection between warfare and state-building in early modern Europe. A crucial mechanisms here, I argued, is recognition. States, and other international actors, act not only in order to achieve certain goals but also because they want to be actors of a certain kind. Actions are undertaken in order to achieve interests but also in order to secure identities. States who fail to be recognized may resort to war. Discussions of recognition were rare in international politics when I first wrote about it, but I’m excited to see that the topic now is mainstream. My PhD was published as a book, Identity, Interests and Action, CUP, 1996, which until now has been cited over 500 times by others. This research project is still active and I return to it from time to time. The next research project after my PhD concerned international political economy and the famous “Needham question” of how to explain the differences in economic development between Europe and East Asia. My answer focused on the role of institutions. Or to be more precise, what made the difference was the institutionalization of processes of reflection, entrepreneurship and pluralism. While countries in East Asia may have been more reflective, entrepreneurial and pluralistic, I argued, they lacked the requisite institutions. This study was published by Routledge as The Mechanics of Modernity, and in paperback as Why Europe Was First. It has been cited mainly by economic historians, including repeatedly by Deirdre McCloskey. Following on from this study was a book, Surviving Capitalism, which picked up themes first introduced by Karl Polanyi. The topic was once again political economy. Capitalism is necessary, I argue, in order to produce economic prosperity, but it is also destructive of social relationship. This is why all societies need a way of surviving capitalism. The book surveys some of these ways and compares Europe with East Asia. Surviving Capitalism has been used as a textbook in economic sociology on reading lists around the world and has been translated into Korean. The next project dealt with colonial warfare in the 19th century, and more specifically with the Second Opium War in China. The event which I sought to explain was the European destruction of Yuanmingyuan, the palace compound of the Chinese emperor. 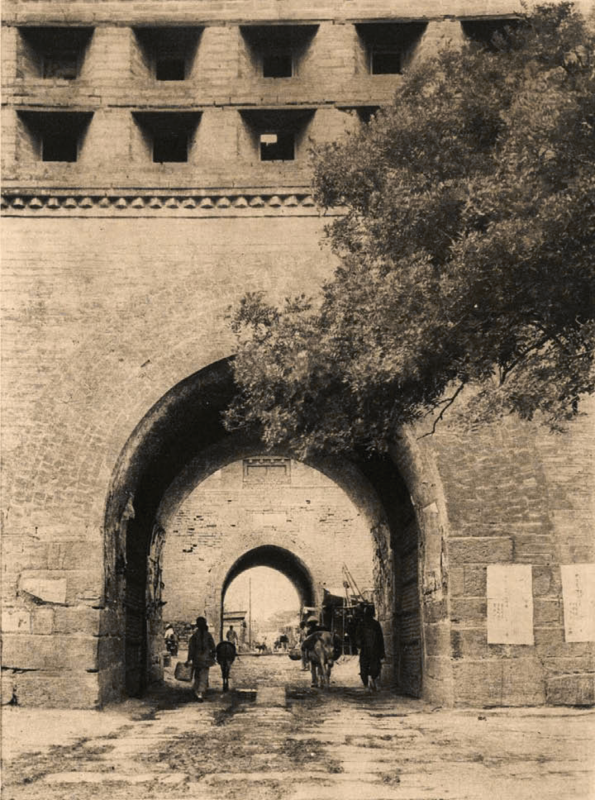 This act of barbarism, I argue, was undertaken in order to “civilize” the Chinese. Similar acts of barbarism undertaken for civilizational aims have been conducted by Western powers ever since — including recent invasions of Iraq and Afghanistan. My book, Liberal Barbarism, was published with Palgrave and an article spun off from the project was published in International Organization. I am currently working on three separate projects, all under contract with book publishers. The projects have so far resulted in a number of published articles. The first project is a textbook on the history of international politics which develops ideas first introduced in my IO article. The idea is to describe international relations as they were organized in different parts of the world before the Europeans arrived, that is, before European colonialism. By comparing these international systems we can obtain a non-European perspective on international relations which allows us to think more creatively about alternatives to the Westphalian system. The book will be published by Open Book Publishers in Cambridge, as an open source textbook. A first draft is available here. The second project takes off from my interest in Chinese history, or, to be more precise, from my interest in the life of the nomads living on China’s borders. In today’s world we are all becoming increasingly nomadic, is the argument, and under the impact of processes of globalization borders come to mean less and less. At the same time, nationalism is a growing force and many want to reassert the power of borders. The aim of this project is to investigate what, if anything, the life of traditional nomadic peoples can tell us about how to organize life in an increasingly nomadic world. What we seem to need are political systems which are as mobile as we are ourselves. This project has so far resulted in a number of separate articles, but I have put the book project aside for a while in order to focus on my third project. The third project, under contract with Cambridge University Press, returns to my long-standing interest in international politics understood as performance. My aim here is to investigate the notion of a “world stage,” a metaphor first introduced in early modern Europe. Apart from the historical investigation, the project has philosophical aims. I want to investigate the role of embodied knowledge — precognitive, non-rational, knowledge — in our understanding of international politics. This project is roughly half-finished and it too has so far resulted in a number of research articles. I continuously give talks and lectures on all of the themes of my research. During the past five years I have been invited to give lectures at Yale University, New York University, University of Michigan, SOAS, LSE, University of Warwick, the Goethe University in Frankfurt, and many others. These are some of the university courses that use books and articles I have written on their reading lists. The collection is not complete but includes only reading lists discoverable by Google. 4SSW1007: History of the International System,” King’s College London. Fall 2017. Oliver Turner and Nicola Perugini, “International Relations Theory,” School of Social and Political Science, University of Edinburgh, fall 2016. Peter Haldén, “The Use of Force,” Försvarshögskolan, Stockholm, Sweden. Fall 2015 – Fall 2018. Felix Berenskoetter, “Identity in International Politics,” Fall 2013, SOAS, Dept of Politics and International Studies, University of London. Jack S. Levy, “Political Science 522: Theories of War and Peace,” Dept of Political Science, Rutgers University, USA. Paul Kowert, “INR 5315: International Relations, Foreign Policy Analysis.” Florida International University, USA. Jeffrey Alexander, “Introduction to Cultural Sociology,” Dept of Sociology, Yale University, New Haven, USA. Jeffrey Alexander, “Introduction to Cultural Sociology,” Dept of Sociology, UCLA, Los Angeles, USA. Aliaksei Kazharski, “IESIR: Russian Politics,” Institute of European Studies and International Relations, Comenius University in Bratislava, Slovakia. Vincent Pouliot, “POLI 575: Honours Seminar in International Relations, Culture and Identity in World Politics, Dept of Political Science, McGill University, Canada. Hsiao, “Narrative and the Analysis of Identity.” Taiwan National University, Taipei, Taiwan. Justin Massie, “API 5505: Concepts et enjeux en affaires internationales,” Graduate School of Public and International Affairs, University of Ottawa, Canada. Alison Rowlands, “HR259: The Thirty Years War: A Military, Social and Cultural History,” Dept of History, University of Essex, United Kingdom. Amalendu Misra, “The Nature of Ethnicity and Ethnic Conflict,” School of Politics and International Studies, Queen’s University, Belfast, United Kingdom. Marie Demker, Dept of Political Science, University of Gothenburg, Sweden. Alexander Astrov, “IRES 5186: Evolution of European Political Order,” Dept of International Relations and European Studies, Central European University, Hungary. Patrick Thaddeus Jackson, “SIS680.AO1:’Qualitative Research Methodologies,” School of International Studies, American University, USA. Berthold Rittberger, “Internationalen Beziehungen,” Geschwister-Scholl-Institut, Ludwig-Maximilians Universität, Germany. “FHS–S1103: Magisterkurs i statsvetenskap med inriktning krishantering och internationell samverkan,” Dept of Political Science, Swedish Defense University, Sweden. Aliaksei Kazharski, “Russian Politics,” Pristina International Summer University 2013. Robert Blackey, “Absolutism and Enlightenment,” California State University, San Bernardino, USA. Xavier Guillaume, “PGSP11156: International Relations Theory,” School of Social and Political Science, University of Edinburgh, UK. Deirdre McCloskey, “Ideologies, Ideas, and Values during the Industrial Revolution,” Summer School, Dept of Economic History, University of Gothenburg, Sweden. Deirdre McCloskey, “History 480: How the West and the Rest Grew Rich,” Dept of History, University of Illinois, USA. Erik Vanhaute, “Economic History: The Great Divergence,” Dept of History, Ghent University, Belgium. Fred Block, “Sociology 138,” Dept of Sociology, University of California, Davis, USA. Kalypso Nicolaidis, “International Political Economy,” Department of Politics and International Relations, University of Oxford, United Kingdom. David Hall-Matthews, “PIED2220: North–South Linkages,” 2010/11. Dept of Politics and International Studies, University of Leeds, United Kingdom. Seok-Choon Lew, “Cultural Sociology of Economic Development.” Dept of Sociology, Yonsei University, South Korea. Alan Hutton, “ECOE431: Political Economy of Economic Performance,” Glasgow Caledonian University, United Kingdom. “Economic Sociology,” Dept of Hakka Studies, National Chiaotung University, Taiwan. Brian Trinque, “ECO327: Comparative Economics Systems,” Dept of Economics, University of Texas, Austin, USA. David Blaney, “320: Global Political Economy: Capitalism and Global Inequalities,” Dept of Political Science, Macalester University, USA. Nolan A. Bowie, “PPP180: Vision and Information Policy: Considering the Public Interests,” John F. Kennedy School of Government, Harvard University, USA. “Virtual Sociability: Purdue Online Interaction Theory Seminar,” Perdue University, USA. English 1A: Composition, Critical Reading, and Thinking, Foothill De-Anza Community College, United States. David J. Vergobbi, COMM5320: Freedom of Expression, Dept of Communication, University of Utah, USA. “4JN503: Reporting Reality,” Dept of Journalism, University of Derby, United Kingdom. Valentina Cardo, FTVMS Special topic: Online Media and Democracy, 2013. Faculty of Arts, Department of Film, Television and Media Studies, University of Auckland, New Zealand. Stephan Petzold, “GERM1060, Introduction to Modern Germany,” Leeds University, autumn 2017. Stephan Petzold, “From Unification to Reunification: Introduction to German History 1870-1990,” Leeds University, autumn 2017. Colin Storer, “HI290:: History of Germany, from 1890 to today ,” Dept of History, University of Warwick, Autumn 2017. Elisabetta Brighi, 1ISP7C3 Theories of International Security, Autumn, 2015, University of Westminster, London. Hans-Martin Jaeger, “PSCI 5207 F International Political Sociology,” Carleton University, Canada. Vincent Pouliot, “POLI671: International Relations Theory,” McGill, Canada. Fall 2015. Ayse Zarakol and Philippe Bourbeau, “MPhil Option in IR Theory,” Cambridge U, United Kingdom, Fall 2015. Emanuel Adler, “POL486/2205HI: Advanced Theory Workshop on Change in International Relations,” Dept of Political Science, University of Toronto, Canada. Andrew Neal and Vassilios Paipais, “IPGSP11156: International Relations Theory,” Dept of Politics, University of Edinburgh, United Kingdom. Mark Aspinwall, “International Cooperation in Europe and Beyond,” University of Edinburgh. Victoria Loughland and Wilifiried Swenden, “Approached to Politics and International RElations,” School of Social and Political Science, University of Edinburgh, United Kingdom. Trine Flockhart, “3007IBA International Relations Theory,” Dept of Politics, Griffith University, Australia. Erika Simpson, “International Relations 9511A-001,” Dept of Political Science, University of Western Ontario, Canada. Jozef Bátora, “EU Foreign Policy,” Institute for European Studies and Internaional Relations, FSES, Comenius University, Bratislava, Slovakia. Jozef Batora, “Diplomatic history,” Webster University, Vienna. Catherine Goetze, “AS4001: Current Debates in World Politics,” Dept of Politics, University of Nottingham, United Kingdom. Patrick Thaddeus Jackson, Theories of International Politics , SIS, American University, Washington DC, United States. Desmarais, POL 6100A: Analysis of International Politics, Dept of Political Science, University of Ottawa, Canada. Jonathan Hopkin, “Introduction to Political Science,” Dept of Government, London School of Economics and Political Science, United Kingdom. 7SSWM158: Concepts and methods in international relations, Dept of Political Science, King’s College, London, United Kingdom. Mathew Watson, POLS 312D, Contemporary International Political Economy, Dept of Political Science, University of Birmingham, United Kingdom. Nicholas Lees, PP2065, International Relations, Brunel University, 2016. Kevin McMillan, “POL6100A: Analysis of International Politics,” Dept of Political Science, University of Ottawa, Canada. Youngmi Kim, “Korea in International Relations” (American University of Central Asia, Bishkek, 2016). Jacinta O’Hagan, “The Evolution of the International System,” Australian National University, Fall 2015. Kevin McMillan, “POL 6100A: Analysis of International Politics,” Fall 2013, University of Ottawa, Canada. Devon Curtis, “PPS TRIPOS: Pol 7 Conflict and Peacebuilding,” University of Cambridge, UK. “POLI0052: East Asia IR,” Dept of Political Science, Hong Kong University, Hong Kong. Ronald Krebs, “Advanced IR Theory,” Hebrew University of Jerusalem, Israel. Sangbae Kim, “Post–modern International Studies,” Dept of International Relations, Seoul National University, Korea. Chen Xin, “International Relations Theory,” Political Economy Research Institute, National Cheng Kung University, Taiwan. Emanuel Adler & Seva Gunitsky, “Pol 2200YIY, International Politics,” University of Toronto, 2013-2014. Youngmi Kim, “East Asia in International Relations,” Dept of International Relations and European Studies, Central European University, fall 2012. Gregory P. Williams, “International Law and Organizations,” University of Northern Colorado, fall 2013. Robert Jervis, “Theories of International Relations,” Columbia University, fall 2012. Mate Nikola Tokic, “Foundations of the Contemporary International System, 1815-1920,” Dept of International Relations, Central European University, Hungary. “PO384: East Asian Transformations: A Political Economy Perspective,” Dept of Political Science, University of Warwick, UK. Chris Alden, “IR202, Foreign Policy Analysis,” Dept of International Relations, LSE, Fall 2015/16. Fabio Petito & Stefanie Ortmann, “G915M1: Geopolitics and Grand Strategy,” School of Global Studies,” Dept of International Relations, University of Sussex, United Kingdom. Josef Batora, “Theories of International Relations,” Comenius University, Bratislava. Sergey Verigin, “Crucial Issues of Russian Political History,” Petrozavodsk State University, Russia. Dept of East-European Studies, University of Uppsala, Sweden. Matthew Krain, “PSCI 400: Tutorial on Diplomacy and Conflict Management,” Dept of Political Science, College of Wooster, USA. Ole Jacob Sending, “Global Environmental Governance.” Thor Heyerdahl Summer School, Norwegian University of Life Science, Norway. Defne Günay, INRL454 IDENTITY AND POLITICS, Yaşar Üniversitesi,Yaşar University, Izmir, Turkey. Marina Duque, “PS3910: Identity Politics,” Dept of Political Science, Ohio State University, USA. Marina Polugodina, “Economic History of Central-Eastern Europe,” Dept of Economics, Freie Universität Berlin, Germany. M. Rafiqul Islam, “International Law,” MacQuarie Law School, MacQuarie University, Australia. Joseph Nye, “Power in the 21st Century,” John F. Kennedy School of Government, Harvard University, USA. Mai’a K. Davis Cross, “HPUBD522: Hard Power, Soft Power and Smart Power,” Dept of Political Science, University of Southern California, USA. Xin Chen, “East Asia in World History, 1500-present,” Dept of History and Classics, U of Alberta, Canada. Fall 2015. Veronika Miťková, “International Economics,” Comenius University, Bratislava, Slovakia. Erika Edwards, “LBST 2101-005: Global and Intercultural Connections, Africana Studies, University of North Carolina, USA. Elizabeth Brake, Fahad Bishara, Risha Druckman, Robert Penner, “Globalization: A Hitchhikers Guide to World Capitalism,” Dept of History, Duke University, USA. Whitney Walton, “HIST40602: Rebels and Romantics: Europe 1815-1870,“ Dept of History, Purdue University, USA. Richard Abels, United States Naval Academy, Annapolis, Maryland. HH215P, Western Civilization in a Global Context, to 1750: Ethics, Society & Culture, Spring 2007. Richard Abels, United States Naval Academy, Annapolis, Maryland. HH215 The West in the Premodern World, Spring AY2017. Michael Seth, “453: World History,” Dept of History, James Madison University, USA. Dr. Foray, “History 413: Europe in the Age of Empires,” Dept of History, Perdue University, USA. HIST 125, Dept of History, Arkansas Pine Bluff University, USA. 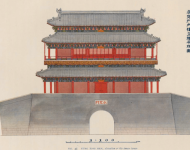 SAST063, SAST006, SAST008: History of South–East Asia, University of Pennsylvania, USA. Monique O’Connell, “HST 106, Medieval World Civilizations,” Wake Forest University. Elizabeth Onasch, “SOC324: Global Capitalism,” Dept of Sociology, Northwestern University, USA. Eric Gordy, “SSEESGS60: Empires, Nationalism and Communism: States and Societies of Southeast Europe,” School of Slavonic and East European Studies, University College London, United Kingdom. PS390, “Multiethnic States,” Sarajevo School of Science and Technology, Bosnia, 2008-2014. Eric Wood, “Introduction to Nationalism, Ethnicity and Religious Conflict” Birkbeck, U of London, 2012-13. Federico Merke, “Sistemática de las Relaciones Internacionales,” Dept of International Relations, Universidad del Salvador, Argentina. University of Louisville, USA, Fall 2015. Markus Fraundorfer, “Narratives in International Relations,” Institute of International Relations, University of Sao Paolo, Brazil. “German and Swedish 20th Century History in a Comparative Perspective,” Department of History, Uppsala University, Sweden. Rosemary Anway, Terrorism, Hodges University, United States. Ben-Gurion University, “Ethno-nationalism in Post-Soviet Societies,” Jerusalem, Israel. “PS3249: Singapore’s Foreign Policy,” National University of Singapore, Singapore. Claudius Wagemann, “Ringvorlesung Theorieparadigmen der Politikwissenschaft,” Goethe-Universität, Frankfurt, Germany. Oded Lowenheim, “Science Fiction and International Politics,” Dept of Political Science, Hebrew University, Israel. Oded Lowenheim, “Honors Seminar: New Topics in IR Research,” Dept of Political Science, Hebrew University, Israel. “SAS H64: Swedish History from a Nordic Perspective,” Dept of History, Lund University. Ragnar Björk & Heiko Droste, “Historia C,” Historiska institutionen, Södertörns Högskola. Telhami, “POS 202: Foreign Policy Analysis,” Dept of Political Science, American University in Bulgaria, Sofia, Bulgaria. Born: December 10, 1960, Luleå, Sweden. Address: Margaretavägen 3E, 222 40 Lund, Sweden. Languages: Swedish, English, French, Chinese, Japanese. Filosofie doktor, Dept of Government, Uppsala University, Sweden. January 1997. Doctor of Philosophy, Dept of Political Science, Yale University, New Haven, USA. Spring, 1993. (Committee: Alexander Wendt, James C. Scott, Walter Carlsnaes). European University Institute, Florence, Italy, 1991-93. Dissertation work (supervisor: Alessandro Pizzorno). Master of Philosophy, Dept of Political Science, Yale University, New Haven, USA, autumn, 1989. Master of Arts, Dept of International Relations, Yale University, New Haven, USA, autumn, 1988. Bachelor of Arts, University of Uppsala/ University of Stockholm, spring, 1985. With a concentration in political science and Japanese language. London School of Economics & Political Science, Dept of Government, London, United Kingdom. Michaelmas term, 1995 – 2007. Senior lecturer with tenure. Convenor of MSc and BSc courses on political economy, the history of political institutions, democracy, power, nationalism and ethnic conflict resolution. London School of Economics & Political Science, Dept of Government, London, United Kingdom. Michaelmas term, 1998 – 2005. Convenor Master’s program in Comparative Politics with responsibility for student admissions. Chulalongkorn University, Visiting professor at the Dept of International Relations, Bangkok, Thailand, 2001/02. Swedish Institute of International Affairs, Stockholm, Sweden. January 1994 – September, 1995. Research fellow. Yale University, New Haven, USA. Editorial Assistant, Journal of Conflict Resolution. January 1987 – December 1990. Yale University, Dept of Political Science, New Haven, USA. Teaching Assistant, September 1989 – December 1990. Courses in international relations and political theory. Kaiyuan Excellent Teacher Award, Shanghai Jiaotong University, fall 2012. National Science Council, Taiwan, China, research grant, 2007-2010. Ministry of Education, Taiwan, China, Human Rights Education Award, November 2009. National Jiao Tong University, Xinzhu, Taiwan, China. Distinguished Scholar Award, October 2007 – 2010. MacArthur Foundation, Yale Dissertation Scholarship, 1988-89. SAAB/ Sweden-America Foundation Scholarship, 1986-87. Fulbright Foundation, Fulbright Scholarship, 1985-86.
International Movements: The body politic on the world stage, Cambridge: Cambridge University Press, forthcoming 2018. History of International Relations, Cambridge: Open Book Publishers, forthcoming 2018. Liberal Barbarism: The European Destruction of the Palace of the Emperor of China, New York, Palgrave Macmillan, 2013. Paperback 2015. The Mechanics of Modernity in Europe & East Asia: The Institutional Origins of Social Change and Stagnation London: Routledge, 2005; paperback 2009. ISBN: 978-0415547703. Also published in paperback as Why Europe Was First: Social Change and Economic Success in Europe and East Asia, 1500-2050, London: Anthem Books, 2007. ISBN: 978-0415547703. Surviving Capitalism: How We Learned to Live with the Market and Remained Almost Human London: Anthem Books, 2005. ISBN: 978-1843311751. In Korean translation, Seoul: Book & People Publishing Company, 2011. Identity, Interest & Action: A Cultural Explanation of Sweden’s Intervention in the Thirty Years War Cambridge: Cambridge University Press, 1996. Paperback edition, 2006. ISBN: 978-0521026031. Erik Ringmar & Thomas Lindemann, eds., The International Politics of Recognition. Boulder: Paradigm Publishers, 2012. Paperback, 2014. “The Problem with Performativity: Comments on the Contributions,” Journal of International Relations and Development, 21:1, 2018. “What Are Public Moods?,” European Journal of Social Theory, Online First, October 20, 2017. “‘The Spirit of 1914’: A Redefinition and a Defense,” War in History, Online First, June 1, 2017. “Comments on McCloskey and Weingast.” Scandinavian Economic History Review, 65:2, 2017. pp. 124-126. “Outline of a Non-Deliberative, Mood-Based, Theory of Action,” Philosophia, Online First, February 2017. “The Problem of the Modern Self: Imitation, Will Power and the Politics of Character,” International Political Anthropology, 9:1, May 2016. “How the World Stage Makes Its Subjects: An Embodied Critique of Constructivist IR Theory,” Journal of International Relations and Development, Online First, September 28, 2015. “The Search for Dialogue as a Hindrance to Understanding: Practices as Inter-paradigmatic Research Program,” International Theory, 6:1, 2014. pp. 1-27. “On the Reality of Mental Constructs,” Global Discourse, 4:4, 2014. “Recognition and the Origins of International Society,” Global Discourse, 4:4, 2014. “‘How to Fight Savage Tribes’: The Global War on Terror in Historical Perspective,” Journal of Terrorism and Political Violence, 25:2, 2013. pp. 264-283. “Imperial Vertigo and the Themed Experience: Yuanmingyuan and Disneyland Compared,” Human Geographies, 7:1, May 2013. “Performing International Systems: Two East-Asian Alternatives to the Westphalian Order,” International Organization, 66:2, Winter, 2012. “Thinking Men and Ideals Betrayed: Bentham, Coleridge and British Imperialism in China in the Nineteenth Century,” Nineteenth Century Studies, vol 26, no. 1, 2012. pp. 101-114.
with Jorg Kustermans, “Modernity, Boredom and War: A Suggestive Essay,” Review of International Studies, 37:4, October 2011. 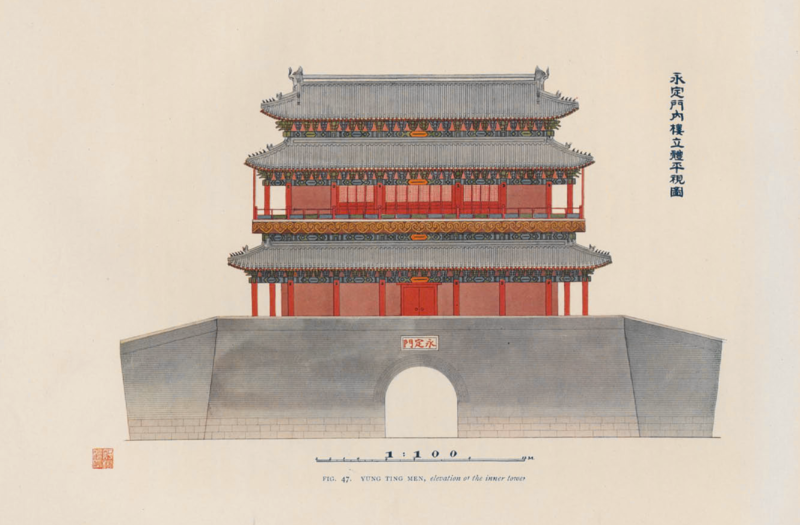 “Malice in Wonderland: Dreams of the Orient and the Destruction of the Palace of the Emperor of China,” Journal of World History, 22:2, 2011. pp. 273-297. “Francis Lieber, Terrorism, and the American Way of War,” Perspectives on Terrorism, vol. 3, no. 4, 2009. “Inter-Textual Relations: The Quarrel over the War in Iraq as a Conflict between Narratives Types,” Cooperation and Conflict, 41:4, 2006. pp. 403-21. “Liberal Barbarism and the Oriental Sublime: The European Destruction of the Emperor”s Summer Palace,” Millennium, 34:3, 2006. pp. 917-33. Published in Chinese translation as 壯美，常理，火燒圓明園, (Liberal Barbarism and the Oriental Sublime), Cultural Studies Quarterly (Taiwan), March 2006. “Audience for a Giraffe: European Exceptionalism and the Quest for the Exotic,” Journal of World History, 17:4, December, 2006. pp. 353-97. “The Recognition Game: Soviet Russia Against the West,” Cooperation and Conflict, no 2, 2002. pp. 115-36. “Nationalism: The Idiocy of Intimacy,” British Journal of Sociology, 49:4, 1998. ”Reimagining Sweden: The Rhetorical Battle over EU Membership,” Scandinavian Journal of History, 23: 1/2, 1998. “On the Ontological Status of the State,” European Journal of International Relations, 2:4, 1996. pp. 439-466. ”Relevance of International Law: A Hegelian Interpretation of a Peculiar 17th Century Preoccupation,” Review of International Studies, vol. 21, no. 1, 1995. ”Historical Writing and Rewriting: Gustav II Adolf, the French Revolution, and the Historians,” , 18:4, 1993. “Samuel Huntington and the American Way of War,” in The Clash of Civilizations: 25 Years On, edited by Davide Orsi, E-International Relations, 2018. “Attention and the Cause of Modern Boredom,” in Boredom Studies: Postdisciplinary Inquiries, edited by Michael E. Gardiner and Julian Jason Haladyn. London: Routledge, 2016. “The Making of the Modern World,” International Relations: Beginner’s Guide, edited by Stephen McGlinchey. E-International Relations, 2016. “The Ritual–Performance Problem in Foreign Policy Analysis: European Diplomats at the Chinese Court,” in Fredrik Bynander & Stefano Guzzini, eds. The Agency-Structure Problem and the Study of Foreign Policy: Essays in Honor of Walter Carlsnaes, (London: Routledge, 2012) pp. 68-80. “The International Politics of Recognition,” in Erik Ringmar & Thomas Lindemann, eds., The International Politics of Recognition. Boulder: Paradigm Publishers, 2010 .ISBN: 978-1594518096. “The Power of Metaphor: Consent, Dissent & Revolution,” in Discourse, Identity and Politics in Europe, edited by Richard C. M. Mole (London: Palgrave, 2007) pp. 111-36. “The Institutionalization of Modernity: Shocks and Crises in Germany and Sweden,” in Culture and Crisis: The Case of Germany and Sweden, edited by Lars Trägårdh and Nina Witozek (New York: Berghanh, 2002) pp. 24-42. ”Alexander Wendt: A Social Scientist Struggling with History,” in The Future of International Relations: Masters in the Making, edited by Iver B. Neumann & Ole Wæver (London: Routledge, 1997) ― in Chinese translation, 2011. “A New Language for a New World: Review of Laust Schouenborg, International Institutions in World History,” The Disorder of Things, October 12, 2017. “Lucid Dreams; Perfect Nightmares: Consciousness, Capitalism and Our Sleeping Selves,” Distinktion, 2017. ”Börje Ljungren, Drömmen om revansch för historisk förnedring”. Tidskriften Respons, 3:2, 2015. (in Swedish). “Ivan Perkins, Vanishing Coup: The Pattern of World History Since 1310.” Cooperation & Conflict, 2016. “Review of Émile Zola, Jag anklagar.” Statsvetenskaplig tidskrift 117, no. 3 (2015): 482–85. (in Swedish). “Violent Protest, Contentious Politics and the Neoliberal State, edited by Seraphim Seferiades & Hank Johnston,” Contemporary Sociology, 44:4, 2015. 552-554. “Kenneth Pomeranz, The Great Divergence: China, Europe, and the Making of the Modern World Economy,” Journal of Social Science (Thailand), 2001. ‘‘On the Causes of War,” Cooperation & Conflict, vol. 32, no. 2, 1997. Review of Hidemi Suganami, The Causes of War, 1996. “Pontus Fahlbeck, tidsandan och folkrörelserna,” (“Pontus Fahlbeck, Popular Movements, and the Mood of the Times,”) Statsvetenskaplig tidskrift, 116:3, 2014:323-346. In Swedish. “Performing International Relations,” Center for Policy Research and International Studies, Universiti Sains Malaysia, Penang, working paper, 125/10, April, 2010. “Liberal Barbarism and Imperial Transgression,” Naked Punch, October, 2006. “Critical Thinking as Institutionalised Practice: East and West Compared,” in Manusya, (Thailand) no. 1-2, 2001. The International Politics of Recognition: Soviet Russia Against the West, 1917-1939, Stockholm: Swedish Institute of International Affairs, research report, no. 24, 1996. “The Swedish Government Is a Threat to Academic Freedom,” (in Swedish) Svenska Dagbladet, November 12, 2017. “The Study of Chinese Often a Waste of Resources,” (in Swedish) Dagens Nyheter, July 12, 2013. “For the Sake of China’s Future, Improve Chinese Universities,” Center for Advanced Studies in the Social Sciences, Fudan University, February 2012. A Blogger‘s Manifesto: Free Speech and Censorship in the Age of the Internet, London: Anthem Books, 2007. iSBN: 978-1843312888 — in Chinese translation, 2009. ISBN: 9789866525117. “Liberate and Disseminate,” Times Higher Education Supplement, 10 April, 2008. “Guerrilla Bloggers and the Old Elite,” Huffington Post, 14 February 2008. “Slip of the Tongue Betrays True Quality of Elite.” Times Higher Education Supplement, August 18, 2006. “Boredom as a Public Mood.” Keynote address, Third International Boredom Conference, University of Warsaw, Poland. June 16-17, 2017. “Gandhi, Home-rule and the Critique of Modernity,” South Asian Studies Student Association, Lund University, October 20, 2016; State-Making in the Nineteenth-Century. Dept of Political Science, Lund University, Sweden, May 19-20, 2016. “Recognizing Recognition: A Research Program, and a Few Additional Thoughts,” Comenius University, Dept of Political Science, Bratislava, Slovakia, October 7, 2016. “’The Huns are Coming’: Anti-Nomadic Prejudice in an Era of Globalization,” Central European University, Budapest, Hungary, October 5, 2016. “History of International Relations: “China and East Asia,” and “The Muslim Caliphates,” Dept of International Relations, Central European University, Budapest, Hungary, October 4 and 6, 2016. 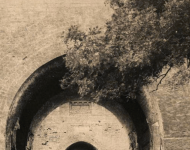 “Liberal Barbarism: Why Did the Europeans Destroy the Palace of the Emperor of China?” talk at the Center for East Asia Studies, Lund University, Jan 19, 2016; Swedish Institute of International Affairs, Sept 29, 2015; Dept of Political Science, U of Gothenburg, October 20, 2014; London School of Economics, May 21, 2014; School of Oriental and African Studies, May 22, 2014; University of Warwick, May 23, 2014; University of Michigan, October 2, 2012; New York University, October 4, 2012; Center for Cultural Sociology, Yale University, October 5, 2012. “Heeding the Call of Being: Heidegger on Attention and Authenticity,” Heidegger in the Global Age, University of Sussex, Brighton, Oct 29-30, 2015. “The theater, hypnosis and suggestibility,” Malmö Theater Academy, Malmö Sweden, Oct 8, 2015. Discussant, “200 Years of Conference Diplomacy. From the Congress of Vienna to the G7 Meeting”, German Institute for International and Security Affairs, Berlin. June 8-9, 2015. “Political Theory for Nomads,” Goethe Universität, Frankfurt, Germany, June 24, 2015; Comenius University, Bratislava, Slovakia, October 30, 2014. “Performance, Not Performativity: An Embodied Critique of Post-Structural IR Theory,” Comenius University, Bratislava, Slovakia, October 30, 2014; Workshop on Agency and Performativity in International Relations, Goethe Universität, Frankfurt, Germany. February 21-22, 2014. “What Are Public Moods?,” Dept of Political Science, Mid-Sweden University, Sundsvall, Sweden. Dec 20, 2013. “The Dream of the China Market: In the 19th Century and Today,” Dept of Society and Globalization, Roskilde University, Denmark, Sept 4, 2013. “Performing International Relations: Ontology, Recognition, Performativity,” Zhejiang University, Hangzhou, December 4, 2012; IDAS Conference, Chengchi University, Taipei, June 1, 2010; Dept of Public Administration, University of Macau, June 4, 2010; International Sociological Association, World Congress, Gothenburg, Sweden, July. 12, 2010; Shanghai Jiaotong University, China, Oct 21, 2010. “Ourselves in the Other: China’s Place in Four Recognition Regimes,” Goethe Universität, Frankfurt, Germany, June 22-23, 2012. “Practices, Performances, and How to Make War with a Hammer,” International Studies Association, San Diego, April 1-4, 2012. “The Remembering European Imperialism: The Memory of Humiliation in Contemporary China,” Johns Hopkins China Forum, Shanghai, Feb 28, 2012; Institute for Advanced Study in Social Sciences, Fudan University, Shanghai, November 21, 2011; ThinkIn China, Beijing, October 27, 2011. Dept of Political Science, Goethe Universität, Frankfurt, Germany, October 12, 2017. Dept of Philosophy, University of Karachi, Pakistan, January 22, 2015. Dept of Political Science, University of Queensland, Australia, August 7, 2014. Dept of Political Science, University of Tampere, Finland, August, 2009. Dept of Government, LSE, United Kingdom, February 3, 2006. Dept of Political Science, University of Lund, Sweden, June 8, 1998. Dept of Political Science, University of Southern Denmark, Odense, Denmark, March 2017-present. Dept of Political Science, Goethe Universität, Frankfurt, Germany, January 2015-July 2017. Member of the Academia.edu Editor Program, Nov 2015-present. Reviewer of research projects for The European Science Foundation, October 2010; The Dutch Council for the Humanities, January 2011; The Research Foundation – Flanders, June 2017. Reviewer of book manuscripts for Anthem Press, Cambridge University Press, Open Book Publishers, Polity Press, Sage, University College Dublin Press. Reviewer of articles submitted to American Historical Review, American Journal of Cultural Sociology, Asian Perspective, British Journal of Politics and International Relations, British Journal of Sociology, Contemporary Sociology, Cooperation & Conflict, Eighteenth-Century Life, Ethnic and Racial Studies, European Journal of International Relations, Geoforum, Geopolitics, Human Geographies, International History Review, International Organization, International Political Sociology, International Relations, International Security, International Studies Review, International Studies Quarterly, International Theory, Japanese Journal of Political Science, Journal of Conflict Resolution, Journal of Culture and Technology, Journal of Development and International Relations, Journal of Politics, Millennium, Nations & Nationalism, Pakistan Journal of International Relations, Political Studies, Review of International Studies, Security Dialogue, Security Studies, Sociological Theory, Terrorism and Political Violence, and Third World Quarterly. Faculty Fellow, Yale Center for Cultural Sociology, 2005 – present. International Advisory Board, The Sage Handbook of the History, Philosophy and Sociology of International Relations. Fellow at the Global Advisory Program, “Brain Korea 21 Plus,” Dept of Sociology, Yonsei University, Seoul, Korea. Member of the International Advisory Board, Centre for Social Development Studies, Chulalongkorn University, Bangkok, Thailand. 2003 – present. Member of the Editorial Board of Human Geographies, spring 2014 – present; Journal of International Relations and Development (JIRD), fall 2012 – present; Perspectives: The Review of International Affairs, 2009 – present; Pakistan Journal of International Relations, 2008-present. Member of the Editorial Board of the book series on Media and Communication Studies at Anthem Press, London, UK. 2011 – present. Conducted tenure review, Dept of Law, Singapore Management University, January 2013. On the list of international referees, 1) BASR, University of Karachi, Pakistan. Jan 2015 – present; 2) Quaid-i-Azam University, Islamabad, Pakistan, March 2016 – present. Examiner, MA theses, Zhejian University, Hangzhou, China, June 2012. Member of the International Studies Association and the Heterodox Academy. My short, 1,500, word piece with “Comments on McCloskey and Weingast” was just published in Scandinavian Economic History Review. You can read it here. Remarkable how this happened. Once I finally realized that McCloskey had discussed my work to some considerable extent in her original article, I contacted the editors of the journal and suggested that I’d write a short comment. They agreed but gave me a tight deadline. It was a Thursday and they wanted the final version the following Monday. Putting other work aside I happily obliged. The article was accepted the same day, and now only a month later it is actually published. I wish all articles I write were as quick to get into print. While the piece was in draft form I put it up on Academia. edu where I got first-rate comments from Michael Schmitz, Astrid Nordin and Göran Sonesson among others. I’m much obliged. Deirdre McCloskey also commented in an email. Deirdre and I agree on many things, but we disagree on the role of institutions. Radical politics in modern society was premised on a constructivist ontology which now increasingly has been abandoned in favor of political solutions based on an ontology of self-organization. As a result, radical politics is in decline. Yet the self-organizing model is unable to explain the most salient feature of modern society — the relentlessness and automaticity of social change. Change can only be explained by an ontology which focuses on the self-actualization of the potential. This alternative ontology can also serve as the foundation for a new form of radical politics. Truth be told, I originally wrote this a long time ago as a sort of summary of the best ideas from my Why Europe Was First book. I sent it to a journal, forget which, and the editor got back to me to say that although the article was very interesting it was really a summary of a book. He was right of course. This version is entirely reworked and has a different focus. It’s all about the potential, man, and what only could happen if we took our imagination seriously and found a way of embedding it into the institutions that organize our lives. I wrote this brief, 5-page, article in response to the articles by Deirdre McCloskey and Barry Weingast in the Scandinavian Economic History Review. This is an excerpt from an article by Deirdre McCloskey where she discusses my book Why Europe Was First. These are my own comments on her article. You can download a pdf of my book here. The Swedish political scientist Erik Ringmar’s answer to the question Why was Europe first? begins from the simple and true triad of points that all change involves an initial reflection (namely, that change is possible), an entrepreneurial moment (putting the change into practice) and ‘pluralism’ or ‘toleration’ (I would call the toleration the ideology of the Bourgeois Era, namely, the Bourgeois Revaluation, some way of counteracting the annoyance with which the naturally conservative majority of humans will view any moving of their cheese). ‘Contemporary Britain, the United States or Japan’, Ringmar (2007 Ringmar, E. (2007). Why Europe was first: Social change and economic growth in Europe and East Asia 1500–2050. London: Anthem. [Google Scholar], p. 31) writes, ‘are not modern because they contain individuals who are uniquely reflective, entrepreneurial or tolerant’. That’s correct: the psychological hypothesis one finds in Weber or in the psychologist David McClelland or in the historian David Landes does not stand up to the evidence, as for example the success of the overseas Chinese, or indeed the astonishingly quick turn from Maoist starvation in mainland China to 9 or 10% rates of growth per year per person, or from the Hindu rate of growth and the License Raj in India after independence to growth rates per person since 1991 over 6%. Why would psychology change so quickly? And now could a rise of an entrepreneurial spirit from, say, 5% of the population to 10%, which could have also characterised earlier efflorescences such as fifth century Athens, cause after 1800 a uniquely Great Enrichment of a factor of 30? The same can be said for the new political and social ideas that at length broke down an ideology that had been highly effective at justifying in ethical terms the distribution of large slices to overlords. Why, then, a change in a system so profitable for the elite? Ringmar (2007 Ringmar, E. (2007). Why Europe was first: Social change and economic growth in Europe and East Asia 1500–2050. London: Anthem. [Google Scholar], pp. 72, 178, 286) gets it right when he speaks of public opinion, which was a late and contingent development in Europe, and to which he recurs frequently. The oldest newspaper still publishing in Europe is a Swedish one of 1645, Post- och Inrikes Tidningar (Foreign and Domestic Times), and the first daily one in England dates to 1702. Benjamin Franklin’s older brother James quickly imitated in Boston in 1721 the idea of a newspaper and became, with the active help of adolescent Ben, a thorn in the side of the authorities. That is, the institutions that mattered the most were not the ‘incentives’ beloved of the economists, such as patents (which have been shown to be insignificant, and anyway have been universal, as state-granted monopolies, from the first formation of states) or property rights (which were established in China and India and the Ottoman Empire, often much earlier than in Europe; and after all the Roman law was clear on property). The important ‘institutions’ were ideas, words, rhetoric and ideology. And these did change on the eve of the Great Enrichment. What changed circa 1700 was a climate of persuasion, which led promptly to the amazing reflection, entrepreneurship and pluralism called the modern world. It is not always true, as Ringmar (2007 Ringmar, E. (2007). Why Europe was first: Social change and economic growth in Europe and East Asia 1500–2050. London: Anthem. [Google Scholar], p. 37) claims at one point that ‘institutions are best explained in terms of the path through which they developed’. He contradicts himself on the page previous and there speaks truth: often ‘the institutions develop first and the needs come only later’. It is not the case for example that the origins of English betterment, if not of individualism, are usefully traced to early medieval times. It is not the case that, say, English common law was essential for modernity. The historian David Le Bris (2013 Le Bris, D. (2013). Customary versus civil law within Old Regime France. Unpublished paper, KEDGE Business School. Retrieved from http://mpra.ub.uni-muenchen.de/52123/1/MPRA_paper_52123.pdf ) has shown that within France before the Revolution the French north was a common-law area, while the south was a civil-law area, but with little or no discernible differences in economic outcome during the next century. Places without such law, further, promptly developed alternatives, when the ideology turned, as it often did turn suddenly, in favour of betterment. Why England? English rhetoric changed in favour of trade-tested progress. To illustrate the change in one of its aspects, it came out of the irritating successes of the Dutch. The successes of the Dutch Republic were startling to Europe. The Navigation Acts and the three Anglo-Dutch Wars by which in the middle of the seventeenth century England attempted in mercantilist, trade-is-war fashion to appropriate some Dutch success to itself were the beginning of a larger English project of emulating the burghers of Delft and Leiden. ‘The evidence for this widespread envy of Dutch enterprise’, wrote the historian Paul Kennedy (1976 Kennedy, P. M. (1976). The rise and fall of British naval mastery. New York: Scribner’s. [Google Scholar]), ‘is overwhelming’ (p. 59). Similarly, the historian Kadane (2008 Kadane, M. (2008). Success and self-loathing in the life of an eighteenth-century entrepreneur. In M. C. Jacob & C. Secretan (Eds. ), The self-perception of early modern capitalists (pp. 253–271). New York: Palgrave Macmillan. [CrossRef], [Google Scholar]) recently accounted for the English shift toward bourgeois virtues by ‘various interactions with the Dutch’. The English at the time put it in doggerel: ‘Make war with Dutchmen, peace with Spain / Then we shall have money and trade again’. Yet it was not in fact warring against the Dutch that made England rich. Wars are expensive, and the Dutch admiraals Tromp and De Ruyter were no pushovers. It was imitating them that did the trick. It was ideas. Ideas, not capital or institutions, made the modern world. The complete article is here; http://www.tandfonline.com.ludwig.lub.lu.se/doi/10.1080/03585522.2016.1152744. Of all our family members, it is really only Uncle Bob who regularly comes to visit. He visited us when we lived in Shanghai, in north London and now in Lund. Yes, he was in Lund last night, our little medieval university town in southern Sweden. I brought Diane and two daughters. Blood is thicker than water. Bob has once again reinvented himself. “Why change me now?” he asks in a borrowed Sinatra lyric, but it is not us trying to change him as much as he continuously changing himself. At the age of 75 that’s pretty remarkable. Those who are not busy being born are a-busy dying. And Bob Dylan is not dying. He has, however, gotten quite a bit older since we saw him in Helsingborg three years ago. He moves more slowly on stage. He dances — yes, dances — but it’s all a bit awkward. And he has to leave the keyboard and stand in the middle of the stage with his legs wide apart in order to be able to belt out the jazz standards which now feature as a regular part of his repertoire. The jazz standards are not bad. Dylan’s raspy voice works well in combination with the silky smooth arrangements. And yet, I can’t help thinking that he is doing karaoke. Dylan karaoke is better than most kinds of karaoke, and I respect him deeply for doing what he wants to do, but it does sound to me like a hobby project rather than something to take with him around the world. The real reinvention, however, concerns his transformation from a blues and rock ‘n roll artist into a sort of vaudeville performer. He and the band are playing circus music, in a Sergeant Pepper vein, or in the style of Bertold Brecht and Kurt Weill. You fully expect acrobats, jugglers and bearded ladies to come on stage. Yet it is not festive as much as grimy — “After Midnight” — grim — “Paying in Blood” — and sad — “Long and Wasted Years.” The furrows in the face of the clown have grown deep, the make-up of the septuagenarian prostitute is running. It’s a remarkable world into which Bob inserts the songs from his 1960s song-book as well as the new Sinatra classics. Yes, they all fit, and thanks to the tight accompaniment of the band and the imaginative arrangements of the songs it’s always interesting. But how good is it? I like my blues rock and the Dylan who stopped by here in Sweden only a few years ago was a first-rate blues and rock man. I liked his harmonica playing, for one thing, but there was no harmonica in sight last night and he made no pretense at playing guitar. The clothes are the same as before — that riverboat gambler outfit — but the band members should really be wearing jester’s costumes. I must confess, the vaudeville musician Bob Dylan is all in all less interesting to me than the bluesman, but OMG, he remains endlessly creative, enigmatic and remarkable. We are lucky that he still comes to visit. Come back soon uncle Bob, we already miss you.